Numerous people and businesses think that backlinking is dead. However, backlinks are essential for every search engine optimisation strategy. Therefore, if you are planning on advancing your website on search engine results, you must incorporate this element into your plan. 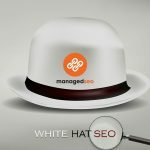 In this article, we will help you understand backlinking in relation to SEO and teach you how to build useful backlinks in the modern online setup. 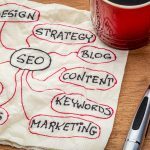 SEO Strategy is an important foundation for any SEO campaign. Part of that strategy is optimising the onsite SEO. Anyone who owns a business knows that optimising their business’ website is important. They may even have a basic understanding of search engine optimisation tactics. But, as with anything, SEO Strategy planning is fundamental to developing a successful strategy. Before you jump in, take some time to do research and build a plan for your digital campaign. Taking a little time to work out a plan of attack now, can save you a lot of time and help you to avoid mistakes and missed opportunities later. Here are some suggestions to help you get started planning your own successful optimisation campaign. 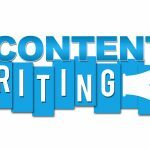 Content Writing is the key to quality search engine optimisation and the name of the game is increasing your Domain Authority (DA). Increasing Domain Authority shows a legitimacy or an authority in your field and it is what will bring regular visitors to your website. But how does a website prove its worthiness and thus build its authority? That is like asking: which came first, the chicken or the egg?